The nuts and bolts of spaying and neutering. Home » The nuts and bolts of spaying and neutering. Dr. Fulop comforting a new member of the Amberlea Animal Hospital family after a spay. It was a busy week last week at Amberlea Animal Hospital here in Pickering. We saw a lot of puppies and kittens, which we LOVE. Our veterinary clinic also performed a number of spay and neuter procedures. As a pet owner of two Golden Retrievers, I fully understand the concerns clients have about having their new puppy or kitten undergoing a surgery. At our veterinary clinic the decision is always with the owner, and we feel our job is to provide the latest information so that they can make the best decision for their pets. For me, I had my female spayed, and my male neutered. Will I have behavioural issues if I don’t spay or neuter my pet? Managing intact animals is different than managing neutered ones. Hormones DO affect temperament and behaviour and the average pet owner may not be prepared to deal with this. Neutering of a male dog, or castration, reduces the risk of prostate issues. Neutering of a male cat will reduce the chance of urine marking. Spaying a female dog or cat prevents heat or estrus. Dogs in heat do bleed, and can bleed up to 21 days. It also prevents a uterine infection known as pyometra, which can be life threatening. Animals spayed before their first heat reduce their chance of developing breast cancer, and the risk of uterine and ovarian cancer is also eliminated. Will my pet gain weight if they are spayed or neutered? Obesity is probably the most commonly quoted disadvantage of spaying or neutering. In most cases it is the result of overfeeding and not exercising enough. By regulating your dog’s diet and caloric intake, you can prevent obesity in spayed or neutered pets. Spaying or neutering does not cause a change in personality, guarding, instincts, intelligence, playfulness and affection. Rest and restriction of activity are the primary post-operative care you should provide. 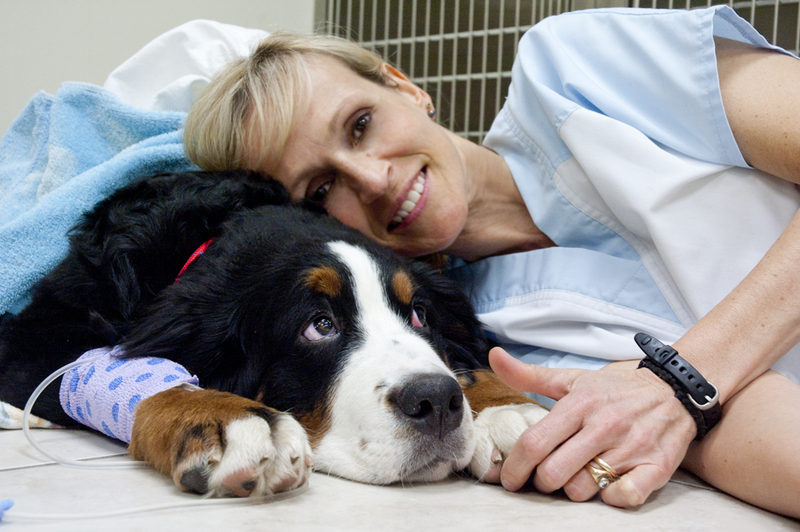 Most dogs can resume normal activity around 10 days after surgery. Until then, leash walks, lots of rest and no swimming or bathing, running or climbing stairs are the rule. Cats seem to recover more quickly. In my opinion, the best time to spay a dog or cat is approximately 6 months of age. The best time to neuter a cat is approximately 6 months of age. The best time to neuter a dog depends on what the client wants. If the male characteristics are wanted e.g. the big head, the broad chest, then it is better to wait until the dog is older (over a year), otherwise approximately 6 months of age is recommended. As always, don’t be afraid to discuss the topic of spaying and neutering with your veterinarian. For great reliable information on spaying and neutering or any pet health topic see our “illustrated articles” section of our website.